The president of Turkey’s ICTA has authorised the blocking of online content during the elections according to the deputy undersecretary. In an interview earlier in May, the authority expressed its willingness and capability to tackle online bots and manipulation if ordered to by Turkey’s Supreme Election Board. Similar incident response teams have been implemented internationally in response to so-called “fake news” and disinformation campaigns as well as DDoS and cyber-attacks following the alleged manipulation of elections and democratic processes in the U.S., U.K. and Eastern Europe. However, Turkey’s online content blocking mechanisms have been criticised domestically and internationally on human rights grounds: The Turkish constitutional referendum in 2017, also held during the state of emergency, was conducted under a climate of limited media and online freedom. Internet censorship has continued to target local and international news outlets and blogs in the run-up to the June election. 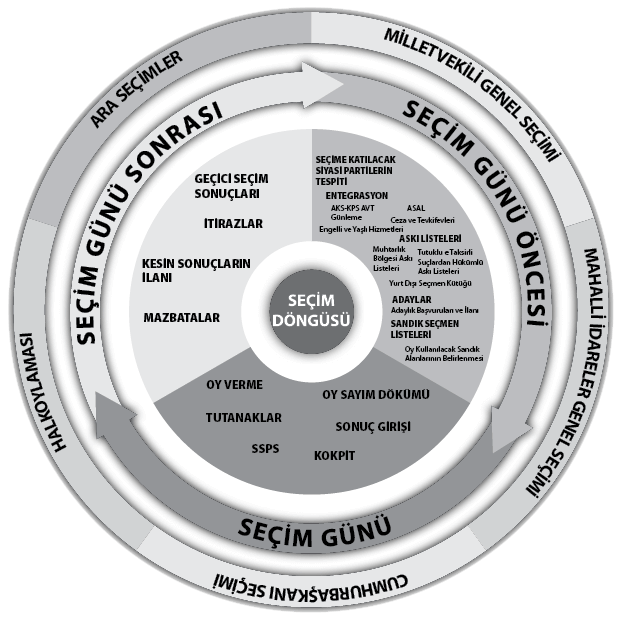 Turkey’s SECSIS project, or Electoral Informatics System is operated within the scope of the Supreme Election Council institutional identification upon the legal basis of Law number on Basic Provisions on Elections and Voter Registers. Turkey Blocks did not identify large-scale telecommunications infrastructure disruptions during the 2017 referendum despite heavy-handed blocking of online speech under emergency law. Since 2016, the Turkey Blocks project has detected and documented over a dozen regional and national internet disruptions during periods of national emergency and political unrest.